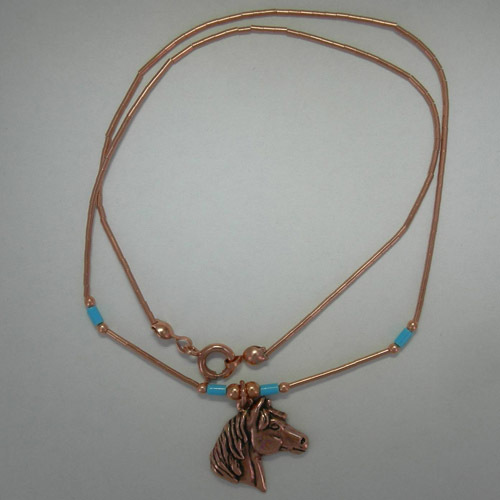 Desc: Copper liquid horse head necklace. The chain is liquid copper with a spring ring clasp. Blue beads are mounted evenly spaced apart near the pendant. 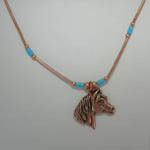 The pendant is fashioned to resemble a horse head. The necklace has a bright polish finish. Made in the United States of America.